India which now ranks as 7th largest car market will move up three places by 2014 according to global consultant Booz&Co. Indian vehicle market is growing steadily with a double digit growth in recent years. According the report, Indian passenger vehicle market will be 3.5million from 2 million now. Car makers from across the world have pumped in millions of dollars on creating plants and launching india specific products. The trend may continue as the car majos like puegeot-citroen and proton will enter the market. Under the Automotive Mission Plan (AMP), the Indian market had earlier set a target to become a USD 145 billion by 2016, for which USD 35-40 billion investment is required. Turkey’s interest to let Nano production go on its soil is on the serious concern from the Tata camp. The reason cited for this is to penetrate the European car market, said its diplomat, which follows the announcement for European target of Nano, from the Chairman of Tata Motors. Every aspect is being analyzed for production facility in Turkey, where Tata Motors has already made its presence. The diplomat said that the small market of Turkey has good and big hope for small cars like Nano. Moreover, Turkey happens to be the gateway for Europe, Middle- East and Central Asia, which is means Turkey is widening the market scope beyond its land. With heavy investment to be shelled out for this Turkey prospect, Tata is contemplating the market position before making any concrete decision. 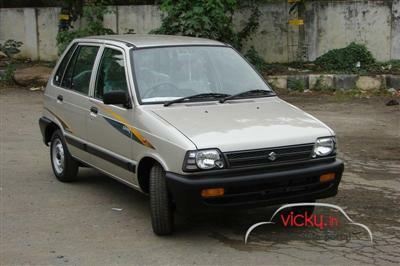 When Maruti Suzuki paraded the Alto, replacing the once flagship M800, the company would not have expected the fortune to favor. After pressing the BS IV norms, the company was not in a mood to focus on this car, but the current demand in export market raised many eyebrows in the company. During the period of April-August 2010, Maruti was able to meet an export chunk of 4435 units, indicating a rise of 91.49% which was just 2316 units in the same period of 2009, said SIAM. During August alone, it stood as 1075 units which was just 236 units in August 2009, making a massive 355.5% increase. Maruti’s M800 is exported to Chile, Algeria and Egypt. This trend is a reversal compared to the domestic market, where Maruti had got just 10505 units during the same period, which was 12649 units in the corresponding period of 2009. The domestic market saw M800 moving downward with the sale of 1919 units in August alone compared to 2734 units in August 2009, showing a fall of 29.8%. however, the fall in domestic market is attributed to the phasing out in 13 cities, following the BS IV norms. Maruti was not in a position to upgrade the model for these cities as a matter of business proposition, said its Chairman. He disclosed that the company did not concentrate much on export segment which constitutes a small volume. In the automobile field, Maruti has been there for over 26 years with sale volume of 28 lakh units, with 25lakhs units comprising the domestic market. The company could produce 840 cars at the time of the initial year of its operations in India. currently, with the phasing out of M800, the company is selling 2000 units per month in the country alone. Tata Motors is on the verge of introducing a low priced version of Jaguar Land Rover in another three years. The move will be further enhanced with sourcing parts from the similar cheaper countries like China, India and Poland. This is akin to Ford’s gesture in deriving parts from these countries for about 20% while Tata Motors would derive 35% in the event of the process materializing. 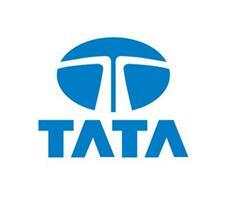 Tata will involve in outsourcing the design and development operations related to JLR. JLR has been with Tata Motors since 2008 after a deal for $2.3 billion. Tata’s focus on the JLR product is due to the increased demand in China, where the target is 25000 units for 2010-11. Last year the company could muster a sale of 17000 units with the launch of Jaguar XJ the company is pinning on increasing the sale to 20000 units during this FY. 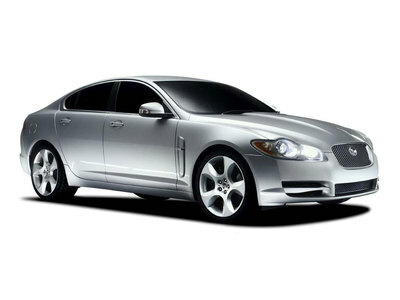 Consequently there will be Jaguar LRX in 2011 and the compact Jaguar in 2013, the sources close to the company revealed. Based on the outcome of product favor and geographical matrix, Tata Motors foresees a net profit of 14-15% from JLR during this year. The similar profit from domestic operations might be around 10-15% and the company has chalked out its plans for unleashing its stake sale to generate funds. There might be issue of equities from the company any time. In its earlier such move Tata made a proposal for raising $700 million by way of selling voting right shares. In another tactical move Tata is quite contented to retain its net debt-to-equity ratio to 1:1 against 1:96 effective on 30 June 2010, making the net debt of Rs19,983 crore. The creation of the reputation as the leader in SUV has made M&M to search the avenues abroad, by joining hands with the Ssangyong of South Korea. The timing is coincidental, August, to the successful launch of Bolero exactly 10 years ago. The current sale of this Bolero is 7000 monthly units and created records towards sale targets in India to be number one among the SUVs in India. The wait period is 2-3 months for this good product, said the Chief Executive for International Operations of M&M. The company’s Vice-Chairman and MD said the company is on the good spirit with the global rapport which will make intended growth to the company. Ssangyong identified M&M for the bid solely on the latter’s merits and now M&M gains confidence to exert a good play globally. 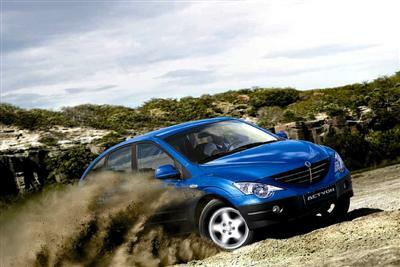 Ssangyong’s strength lies in its SUV range like Kyron, Actyon and Rexton and sedan Chairman. The company is on the verge of getting relieved from the bank’s restructuring norms. In China it has 138 dealers and 1300 spread across nations with the sale figure of 35000 units in the last year. M&M reveals that it has right capacity to get into the tie with Ssangyong for launching more producits oon South Korean models, said M&M’s President. The refined version of Alto K10, the entry-level version which is slated for launch soon, may cost Rs3 lakhs. Maruti sees more hope and promise from this new 1000cc Alto to boost its presence in the A2 segment. Further, there would be more first time buyers for this fascinating car in the Indian car market. Maruti has designed this car at the measurement of 3629mm net length, more than the current model by 125mm. Maruti is keen that this new version shall be longer than others in this A2 segment- Estilo, WagonR and Hyundai i10. The new Alto is expected to run for 20.2 km/lit at the speed of 0-100/h in 13.3seconds(while other cars in this segment has the time of 14 seconds). The CGM of Maruti claimed that the company is fully aware of the pros and cons of this A2 and A1 segments. He explained that there has been no increase in this segment for the past four years despite the net growth of 200% in the car market. 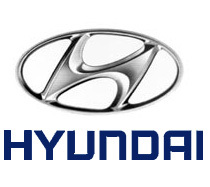 The reason cited, among many, is the launch of such cars by Hyundai, GM, Renault-Bajaj. There might be hike in this segment in coming days therby evoking stiff competition, he said. According to his classification, the A2 segment consists of Santro standard(non-AC), Alto 800, and Chevy Spark. The torch bearers in this segment are Tata Nano and M800. The sale of Alto is on the high with 20000-21000 monthly units in the net volume of 32000-34000 units in this segment alone. Hence the prospects of the share in this segment may be around 25-30% with the launch of Alto K10, he added. The cost of existing Alto 800 is Rs2.28 lakhs for standard and Rs2.6 lakhs for Delux model, while the Lxi is Rs2.79lakhs. this makes the assumption that the new version may cost around Rs3 lakhs(mid-range price between entry level Estilo and Alto Lxi whose cost is Rs3.3 lakhs). The new Alto might grab new buyers and first time owners, making them awake from the gloomy picture of a car’s purchase on financial grounds. Quoting the ongoing demand for Indian auto makes in Europe, the Indian government said there might be 15% in the export segment from the last fiscal’s, said the Joint secretary in the department of Heavy Industries. He further said that the scope in the growing European nations is promising and the continent proves to be the ideal dearth for the Indian auto sectors, especially passenger cars. In the meantime, the SIAM revealed the export figures of 2009-10 which stood at 18,04,619 units at an increase of 15% from 15,30,594 units in the previous year. The net export volume of 2009-10 was an increased 33.23% despite the global recession. This was throttled by the scrappage incentive scheme announced in the European spread. The small car buyers were offered attractive incentives for buying a new one at the disposal of the old one. The most fortunate beneficiaries under this scheme were Maruti Suzuki and Hyundai. With the withdrawal of the said scheme there is a soft pedaling in the European market but the companies are tapping other potential markets. The auto industry’s another important wing, two wheeler sale too witnessed good show @13.54%, with the top leaders Hero Honda and Bajaj taking the lead. SIAM had earlier made a representation to the Indian government for boosting the export market with useful measures.